It’s easy to overlook the spiritual side of a 12-ounce coffee to go, or a fruit salad in a plastic cup. But the staples of the modern diet offer more than just sustenance. In a single day, you might encounter dozens of foods that belong to a worldwide cornucopia of fortune-telling tools, foods whose familiarity belies their mystical heritage. You don’t have to put down your spark, of course. It’s perfectly safe to swallow clairvoyant cantaloupes. But read on to learn how spiritual advisors have for centuries divined the future from your grocery list. Onions – The humble onion of stew, ratatouille, and burger topping fame is rich in both Vitamin C and symbolism: just as we seek to discard the illusions in our lives, we peel away the translucent layers of the onion. Appropriately, the European tradition of cromniomancy looks to these geometric marvels for spiritual help. Unlike some forms of divination, cromniomancy is easy to try at home. Next time you’re faced with a vexing dilemma, say a choice between two romantic interests, carve their initials on separate onions. Whichever sprouts first is the one for you. 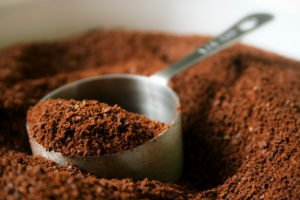 Tea leaves and coffee grounds – Search the residue left after a warm drink of tea or coffee for symbols, letters, or even faces. Do you see any familiar patterns? Generally, the closer a picture is to the rim of the cup, the sooner the event it foretells. You might make out things that don’t immediately make sense (what’s that duck doing in your query about a promotion? ), or that only seem like half an answer. For better or worse, tea leaf reading is open ended, making it ideal for practiced readers and challenging for the less proficient. Coconuts – With its hard, hairy shell and soft, creamy interior, the coconut is a biological and culinary wonder—and in the West African system of Obi divination, it’s also a tool for foretelling. Yes or no questions are instantly answered by flipping a few chunks of the coconut shell. Based on the way they land (shells up or down), you’ll learn what the spirits think of your situation. In places where coconuts are hard to come by (like Canada in the winter), Obi practitioners substitute cowrie shells. Burning herbs – Why would you ever burn a fresh bundle of sage, lavender, or thyme? If you needed a little spiritual wisdom, that’s why. Not only do these herbs smell heavenly when lit, but their smoke rises in curling tendrils that are perfect for gazing and divining. Each herb has its own spiritual significance, too. Lavender is the king of restful sleep, and sage is the best in the business of aura cleansing. 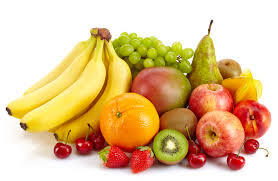 Fruit – For the skilled psychic reader, the produce section of the market is good for much more than cobblers. Ripe fruit is the fertile womb of a plant: life-giving, feminine, and sweet. Like asking a wise grandmother, this maternal energy has endless foresight and intuition to share with you. According to folk wisdom, fruits with peels and rinds, like apples and oranges, can be divined by sweeping a peeler around the surface to shear one long ribbon. Toss the peel over your shoulder and read the shape it assumes. Moreover, each fruit possesses its own talent, spiritually speaking. The peculiar, spiny pineapple is an improbable symbol of hospitality and generosity, long known to imbue a new house with warmth and a fabulous centerpiece. So if the guy your tangerine peel told you to pursue invites you over for a home-cooked meal, don’t forget that pineapple. If fruits and vegetables have so many psychic powers, why don’t they get as much attention as, say, Tarot cards? While the mystical foods on this list are generally easy to come by in your local supermarket, they’re considerably less straightforward to divine. Divination by coconut is the clearest, because it provides yes or no answers. But when you’re faced with complex situations, like repairing relationships, raising children, or resolving delicate career matters, the coconut may not be enough. Similarly, choosing between romantic suitors with an onion is appealingly simple, but you’ll have to wait a few days for an answer. When the onion finally does sprout, you’ll know which relationship is right, but not why. Moreover, if you’re at the point of consulting an onion for help, you probably want a little more insight, anyways. Reading tea leaves, fruits, or smoke tendrils is surprisingly challenging for beginners. The learning curve is steep because, unlike in a system of Runes or Tarot cards where every symbol has a history and well-traversed interpretation, absolutely anything can show up. Sometimes a clear picture with an even clearer meaning will appear in the leaves. But just as often, the bottom of your teacup looks like a triangle, or a boat, if you tilt it, and it’s not obvious what exactly this has to do with you. So if your plate is full of both small questions and raw onions, go ahead and see what answers you can divine. But when you’re up against tough issues, the life-changing, long-term, big deal questions, a psychic advisor can take over where the pineapple leaves off.